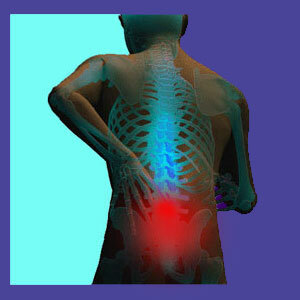 Are you looking for true to life lower back pain facts? We can help by providing an objective view of lumbar dorsalgia that is free from financial motivations. In essence, we will actually tell you the plain facts as they truly are, without trying to make them work to sell you a product or service. To assist patients in finding out the real facts of lumbar dorsopathy, we provide the following dialog that provides all the tools needed to become an empowered medical consumer. Doctors have changed their ideas about what causes lower back pain drastically in the historical record. In old medical texts, the causes of back pain included witchcraft, religious sins and all manner of wives’ tales. It was not that long ago that medical science was obsessed with lumbago and speculated that low back pain was caused by exposure to damp, cool weather. The modern age of medical imaging brought to light the structural obsession with back pain being blamed on anything and everything that seemed to look “atypical” in the lumbar spine. All these thoughts and theories were credible in their time, but their time has long passed. Now doctors realize that there are many causes of pain, involving injury, disease, mindbody causation and other factors. They even recognize that some cases of chronic lower back pain are truly idiopathic and can not be linked to a definitive origin. However, many doctors still suggest mechanisms of pain that are not always scientifically logical, such as blaming pain on atypical structure without any evidence of pathology. This is actually the most common reason cited for creating back pain and is also the single greatest reason explaining the epidemic of misdiagnosis in the dorsalgia treatment industry today. With such a poor historic record of diagnostic results, why place any credence in theories that are already known to be mostly incorrect and unenlightened? Just like doctors have a terrible history regarding diagnostic accuracy, the treatments used to combat back pain are just as crazy. Look back in time and you will see all of the following practices cited as the best cures for low back pain: bleeding with scalpels, bleeding with leaches, exorcism from a priest, seeking confession at church, consuming all manner of inedible and poisonous substances and a variety of “therapies” that qualify more as torture than medicine. Look back only a few decades and you will witness months of spinal traction, unbelievably invasive surgical butchery and the use of substances such as heroin and cocaine to cure pain. Medical science once again proves it does not seem to know much when viewing its historical record in retrospect. 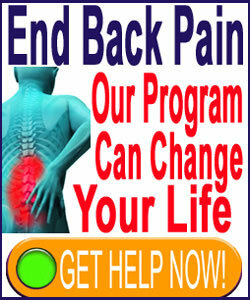 Now, lower back pain treatment is a very diverse industry. However, is it any more enlightened than before? Some practices certainly seem so, like the idea of substituting acupuncture, meditation or massage for drugs or the growing field of pain coaching to substitute for pharmacological pain management. However, the majority of techniques used to treat low back pain still seem cruel, brutal, contraindicated and sometimes, downright insane. Great examples include the literal poisoning of an entire species of humans by toxic pharmaceutical products given in mass quantities and combinations, the ever-growing rate of spinal fusion surgery for minor and possibly innocent spinal irregularities and the idea that chronic pain is a “disease” that requires symptomatic care in preference to curative measures that could actually resolve the suffering organically. Who do you believe and what do you believe? These are questions that you need to ask yourself. If a doctor, company or other source of information is trying to sell you a product or service, it is somewhat difficult to call them objective and believe them at face value. We regularly see patients receive treatment advice that is certainly not in their best interest, but reflects the economic motivation of services offered by the doctor giving the recommendation. These caregivers would rather risk a patient’s health and very life in order to keep a prospective customer. It is a sad truth, but a very real truth nonetheless. We always present an objective view of the risks and limitations of all care practices, as well as their potential benefits. Make absolutely sure that other sources of information relied upon do the same or discount them as contributors to your patient education. To best serve your needs as a chronic pain sufferer, be sure to read our lower back pain tips page for detailed instructions on protecting yourself in the financially-motivated, opportunistic and often predatory modern healthcare sector.